The first Saturday of June is always National Trails Day. Growing up in Arizona where the natural scenery throughout the state is stunning, my family was big into camping and hiking. I can’t even remember how many backpacking trips I have been on over my lifetime. And I am not talking just day hikes, I mean serious hikes where you pack in your supplies and shelter and enjoy living in the wilderness for days at a time. I have retired from long hikes but for my younger sister, it is a big part of who she is and what she does. She is a Park Ranger in Arizona who is certified in survival skills. 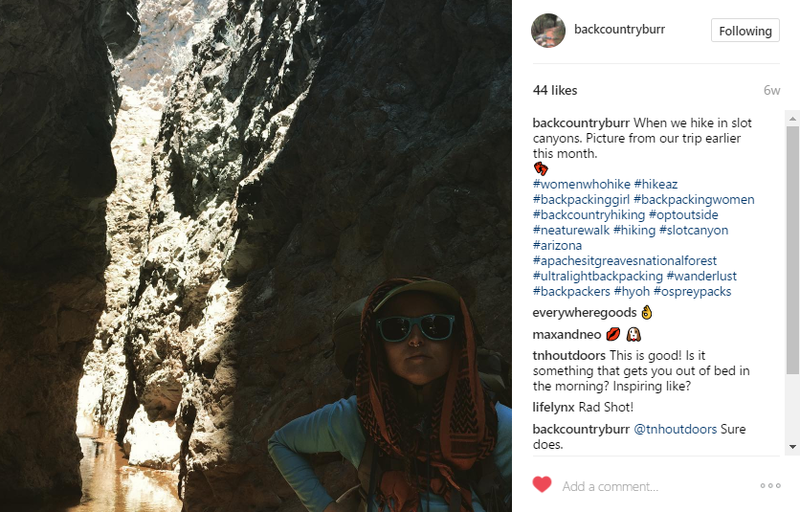 She just started an instagram @backcountryburr to document her hikes and it is very exciting. She’s a daredevil when it comes to the outdoors. She sometimes packs in equipment like ropes and climbing carabiners to scale mountains. Other times she disconnects from technology to go on camping trips for days. 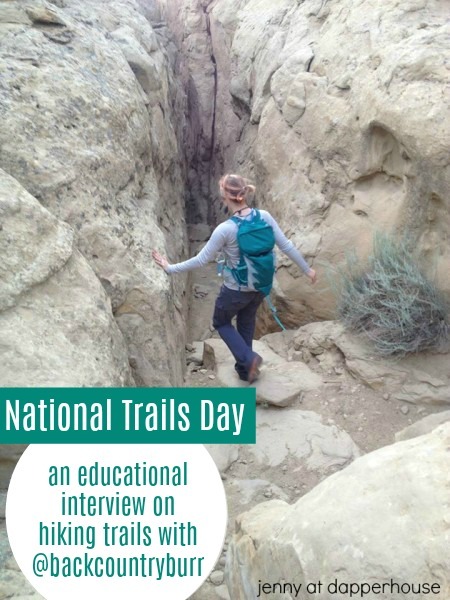 I want to share more about her for National Trails Day so here is an interview with Backcountry Burr. All photos belong to @backcountryburr. Q: When and where was your most recent hike? A: May 28th 2017 in the Coconino Forest, located north of Pine Arizona. Q: What was unique about that trip? A: This trip was a treat away from the Sonoran Desert heat that is in full force here for summer. I chose to hike here to explore native plants in the area. Q: If you could only pick two of your favorite hiking trails what and where would they be? A: My first pick would be Horton’s spring near Tonto Creek in Arizona. There is a short way and a long way. The long way is a great way to see high desert and forest plant diversity. The short way I prefer to take when I leave, as it is all down hill by the creek. The spring is beautiful, water gushing out of the rocks. Columbine flowers grow all around. It is a great spot to refill on water. Even though it is straight from the spring, I recommend filtering and purifying the water as it is used by many people and animals. I like to utilize my Sawyer Mini, a light weight filter with a great price point, or my First Need Xle Elite filter…which is what I really prefer. I have used a CamelBak UV purifier with success here also. 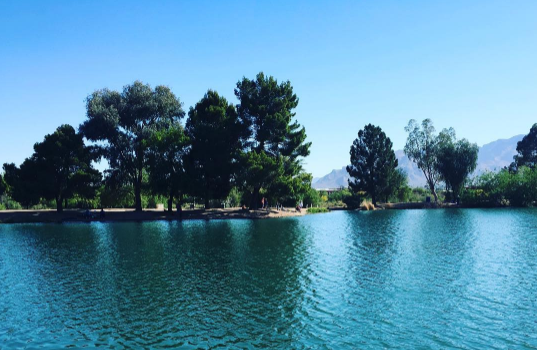 My second favorite hike around the city I live in is at the Rio Salado park in Phoenix, Arizona. This place will really transport you into nature even though it is in the center of town. It is a wonderfully diverse riparian habitat that is beloved by those who know about it, I recommend it all the time to people. I go there to clear my head, bird watch, and study native plants. 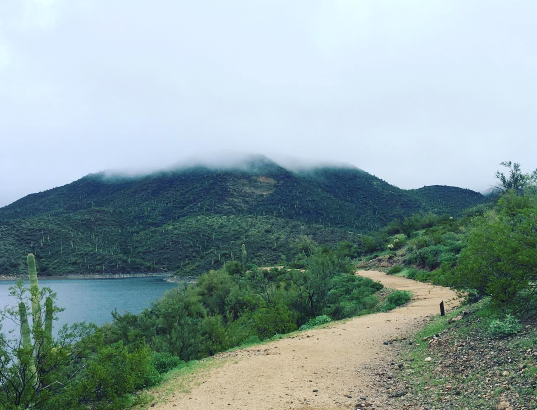 Q: What are a couple of good trails for day hikes in Arizona? A: Horton’s spring is definately one of them. 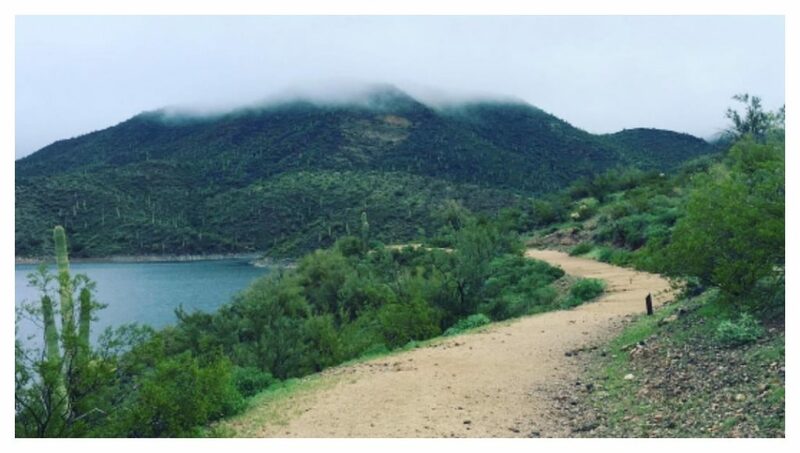 I also love hiking at Lost Dutchman state park in Apache Junction, Tonto Natural Bridge state park in Pine (the pine creek trail is a nice challenge), Usery Regional Park has a great long loop trail that is breath taking during wildflower season, and the trails around Mormon Lake are a great summer escape. Q: What is some good advice for beginning hikers who want to start out exploring some trails in their area? A: My advice for new hikers is to plan ahead and prepare, which is a Leave No Trace principle…everyone should look it up to be good nature guests. Preparation is paramount. Looking for things like, how long is the trail, how difficult is it, how much time will it take and how much time do you have, are there any local restrictions involving pets/fires/etc, what shoes are best, should you bring a snack, how much water should you bring/can you refill nearby, what kind of sun protection do you need, what will the weather be like, read a trail map…and better yet take a copy with you, have a way to signal for help if needed, and know what time the sun sets…in case you need a flashlight after dark. Q: What is a survival skill or product that people might need when they are doing a hike and overnight camp out? 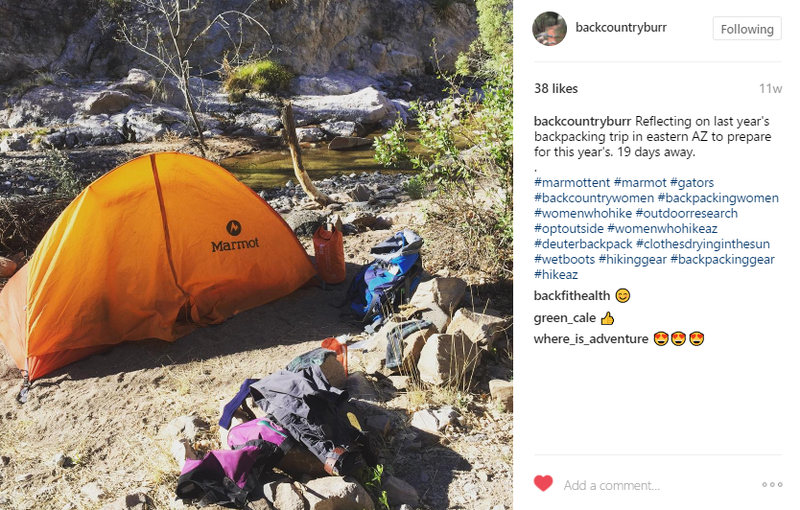 A: Day hiking and overnight camping can require a different set of skills and gear. However, you want to plan for the worst within your abilities and gear. Just because you watch a survival show doesn’t mean you can start a fire on your own without practicing. Some people can go out with a fannie pack of necessities, while others need an RV. Survival skills are personal and require practice. Six things you should never be without are water, first aid (including meds), shelter, fire stater, navigation, and signals. These six things can be achieved in various ways depending on your abilities, location, gear, and knowledge. Q: As an avid hiker, what are your top three tips for braving hiking trails? A: My top tip is to wear 2 pairs of socks. I love liner socks because they keep my feet from getting sweaty and prevent blisters! And speaking of blisters, I love keeping a bit of moleskin with me just in case. That stuff rocks. My second tip is to bring a small trash or grocery bag along with you. I do this to pick up trash left behind. It is crazy how many tiny pieces of plastic and metal are out there. I was filling up my pockets, but a bag keeps the gross trash contained better. Again, be a good nature guest! The plants and animals that live out there need our help with this. Lastly…If you are out to see wildlife, wearing neutral earthy colors and unscented cosmetics will help you not scare everything off. It doesn’t hurt to be a little quieter too. Keep the headphones off and really be in the natural space around you. Nature makes wonderful sounds. 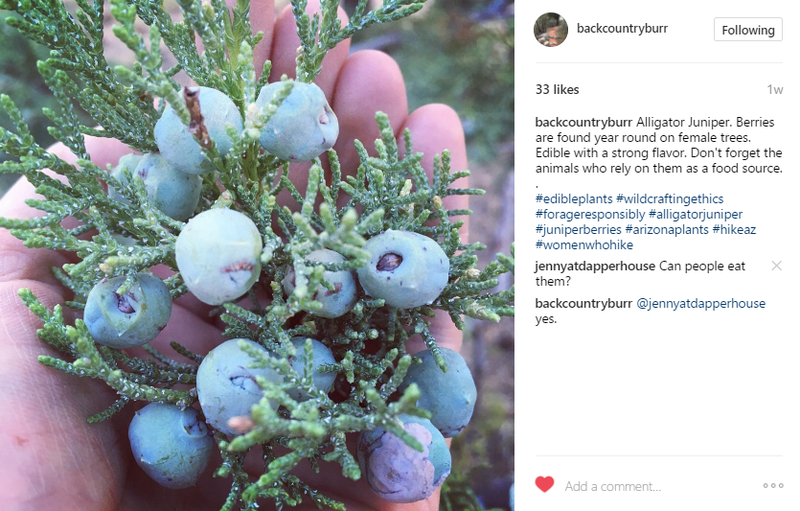 You can follow along and learn from her adventures on instagram. 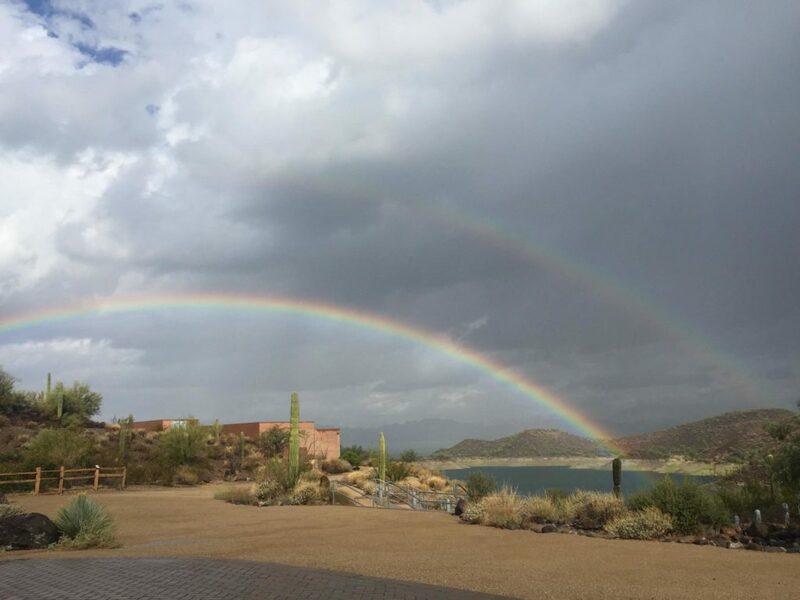 Arizona, Fitness, Travel & Tourism. permalink. I love hiking. We go on family hikes all the time. They keep you fit, and you can enjoy the beauty of nature up close and personal. Thanks so much for sharing this! I’ve been a huge fan of trail hiking for years. There’s no better way to enjoy nature and get the old heart pumping. Montana is also a hiking wonderland. There are so many places in this country that are just glorious to see. I loved Arizona when we were there. I haven’t gone hiking since I was a kid. I’m so afraid to go near the woods around here because there are so many ticks and I’m paranoid about getting a tick borne illness. The views look beautiful. I love your pictures, and thanks for all the tips! There are some geocaches hidden in the Rio Salado riparian area too! It’s fun for my kids, they like to play in all of the small streams running through there and my son likes to bring a sketch pad with too. Hiking and nature is so good for kids, I wish we did it more. We have been going for hikes as a family for years. It is such a great way to get exercise and bond with the kids. I have not been one to go on long hikes, but I have walked a few trails in my day. Living near the Blue Ridge Parkway, we have plenty of trails to walk just a stone’s throw from our house. I love the beautiful landscaping and sites to see. I have always wanted to visit the dessert and hope to someday! Oh my, it’s so beautiful there. I’d love to visit someday. Thanks for sharing the great tips too! This was a very informative read and the pictures are beautiful. I haven’t gone on a hike in ages it seems. We love hiking and hit the trails this weekend. Funny, I had no idea it was national trails day but I will be putting it on my calendar every year now!